Nope, it is not a dead bird underwater. This guy here was actually the first one of its kind to be recorded in the CNMI. Thank you! Scientific name is Eurypegasus draconis. 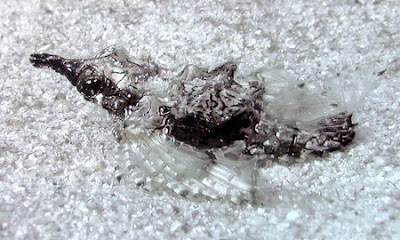 This bizarre little fish is a rarely seen dweller of sandy bottoms that feeds on minute invertabrates.